The Atlantic Profiles Nazi Leader Andrew Anglin - Joe.My.God. 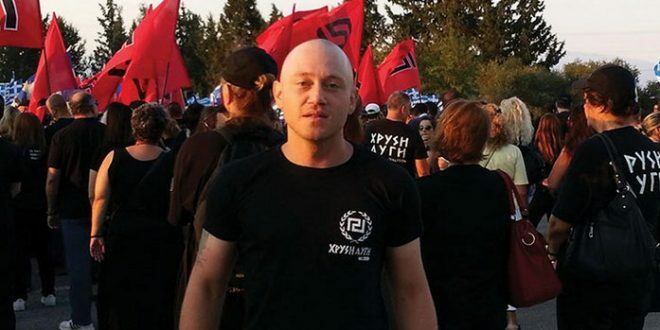 The Atlantic has posted a grimly fascinating profile of Nazi leader and Daily Stormer founder Andrew Anglin, who is currently being sued by the Southern Poverty Law Center for his campaign of harassment against a Montana woman. When Gersh put down the phone, her hands were shaking. She was one of only about 100 Jews in Whitefish and the surrounding Flathead Valley, and she knew there were white nationalists and “sovereign citizens” in the area. But Gersh had lived in Whitefish for more than 20 years, since just after college, and had always considered the scenic ski town an idyllic place. She didn’t even have a key to her house—she’d never felt the need to lock her door. Now that sense of security was about to be shattered. As you’ll see at the link, Anglin’s family has been involved in the gay bar scene in Columbus, Ohio and that bit is particularly interesting.